This week, we’re taking inspiration from a recent film release to explore the realm of fiction created by a truly iconic children’s author, whose works are enjoyed by the young, as well as young-at-heart: Hans Christian Andersen. Read on to learn more about this author, as well as a few outfits based on his memorable works. Hans Christian Andersen was a Danish author made famous for his iconic children’s stories, written in the 19th century. From “The Little Mermaid” to “Thumbelina” to “The Princess and the Pea,” Andersen’s works are known worldwide for their characteristic whimsy, fantastic elements, and inventive use of such narrative details as personification and lessons of virtue. In fact, his works have been translated into more than 125 languages! However, he was never exclusively an author for children; he was also known as a prolific author of many genres, including travelogues, plays, poems, and novels. Andersen was very popular with the literary set of Europe and was a close friend of Charles Dickens, who shared with him a profound regard for the plight of the lower classes. 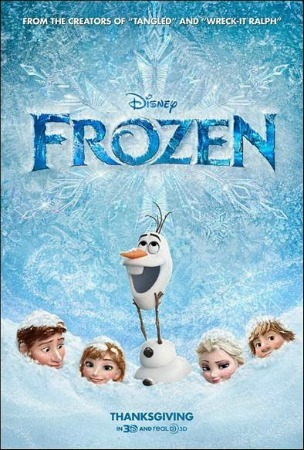 Frozen is loosely based off of Andersen’s “The Snow Queen”… emphasis on the term “loosely.” The film’s plot rejects the majority of the original components of the classic children’s story, but solidly retains the heart of the witch-delivered snow storm, as well as the story’s distinctly Scandinavian heritage. For instance, the film drew inspiration from the author’s snowy landscape for the ice formations. By integrating key elements from some of Andersen’s most iconic works into your own outfits, you, too, can add some of the author’s characteristic inventiveness and fantasy to your own life! 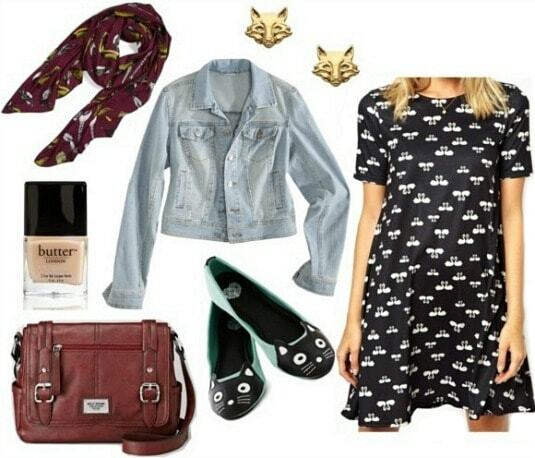 Product Information: Scarf – Nordstrom, Jacket – Target, Earrings – Max & Chloe, Dress – Asos, Flats – Modcloth, Bag – Kohls, Nail Polish – Butter London. 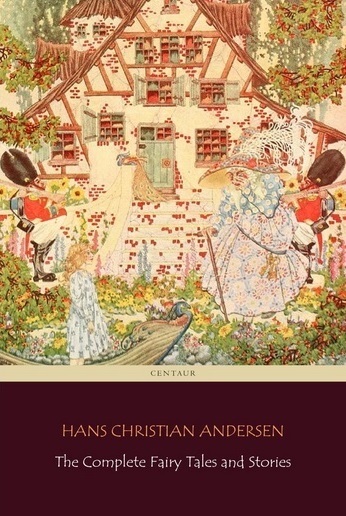 The works of Hans Christian Andersen carry themes drawn from his own life, and the most obvious of these is the well-known story of “The Ugly Duckling.” The unique tale of the odd-duck-out who, born from the wrong nest, grows up to be a swan, is believed to be a personal biographical allegory of the author’s own history, tracing his origin from the “duckyard” of Odense, Denmark, to his own “swan-like” acclaim in Copenhagen. Pay homage to Andersen’s history by integrating animal motifs and updated variations on barnyard basics into a look that’s as whimsical and optimistic as the author’s own life story. A swan dress, fox earrings, cat flats, and a bird scarf – plus a neutral nail polish in Butter London’s “Hen Party” – provide a “wild” touch. Pair those pieces with a denim jacket and a classic leather bag in a warm red hue for a look that’s grounded in comfort, but looks fit for the city. Product Information: Clutch – Nordstrom, Shirt – H&M, Scarf – Nordstrom, Jacket – Target, – Shoes – Zara, Skirt – Forever 21. Hans Christian Andersen discussed a variety of subjects within his work: class status, travel, and even fashion commentary. Well, kind of. This classic tale offers a take on the age-old sins of vanity and pride, and ends with penance and suffering resulting in transcendence into Heaven, as a girl dances to death in a pair of flaming red shoes. The ill-fated footwear was rumored to be inspired by an observed injustice: it is said that Andersen’s father was once tasked with making a pair of red silk dancing shoes for a well-off woman’s daughter, only to have the woman accuse him of spoiling the fabric with his shoddy craftsmanship and refuse to pay him for his work. Emphasize the luxurious with baroque-inspired pieces, contrasted against minimalist basics, for an ensemble that capitalizes on the juxtaposition of vanity and simplicity. A minimalistic envelope clutch, basic black blazer, and white blouse are matched with luxe elements like a faux fur scarf, a tight brocade-print midi, and patent red shoes for a look that is equal parts extravagant and down-to-earth. Product Information: Liner – Beauty, Earrings – Miss Selfridge, Hat – Nordstrom, Belt – Old Navy, Loafers – Steve Madden , Phone Case – Zappos, Polish – Charlotte Russe, Wristlet – Macys. Hans Christian Andersen’s works have always been popular, especially with today’s wide realm of fairy tales and children’s stories. From The Little Mermaid to Thumbelina, variations abound, particularly in family-friendly film iterations that appeal to the same audiences – and impart the same lessons – that the originals did so many centuries ago. Inspired by the most recent source of inspiration from his works, the film Frozen, we have “The Snow Queen,” which has also inspired many other film, television, stage, and even ballet adaptations throughout the years. Celebrate the permeation of Hans Christian Andersen’s works into world culture, with a specific emphasis on the most recent source work, by adding some high shine “frost” to your outfits with sleek silver and sequins, thus spreading a little bit of “Snow Queen” throughout your wardrobe. From eyeliner to earrings to sparkles and studs, there’s plenty of the ice-cold silver shine to go around, just like Andersen’s iconic stories. Have you ever read any of the works of Hans Christian Andersen? Have you ever taken a class on Children’s Literature? Are you excited to see Frozen? Have you seen The Little Mermaid? What do you think of Andersen’s own life story? What do you think of the outfits and styling tips? Let me know, in the comments below!